At Palazzo Barberini in the heart of Rome earlier this month, a handful of billionaires, multimillionaires and, tagging along some distance behind, representatives of the world’s automotive press had their first look at a new £1.7 million hypercar. In the imposingly grand surroundings of the 17th-century palace, now repurposed as a fine art gallery, those assembled were allowed a tantalisingly brief glimpse of the car – due to go into production two years from now – or at least a handful of digital renderings of it. The journalists thought it looked spectacular, while a small number of the wealthy prospects were so bowled over by what they saw, they committed to buying one of the ultra-exclusive hypercars on the spot. The car results from an alliance between an Indian industrial giant and a storied Italian design house. It might seem like an unlikely one, but it could well be a match made in heaven. Mahindra Group brings the heavyweight financial clout and a certain degree of engineering expertise, while Pininfarina contributes brand cachet. So it is that the world’s newest car brand, Automobili Pininfarina – no more than a few days old and with not a single car yet built – can already boast cast-iron financial security and nine decades of heritage in the luxury automotive sector. 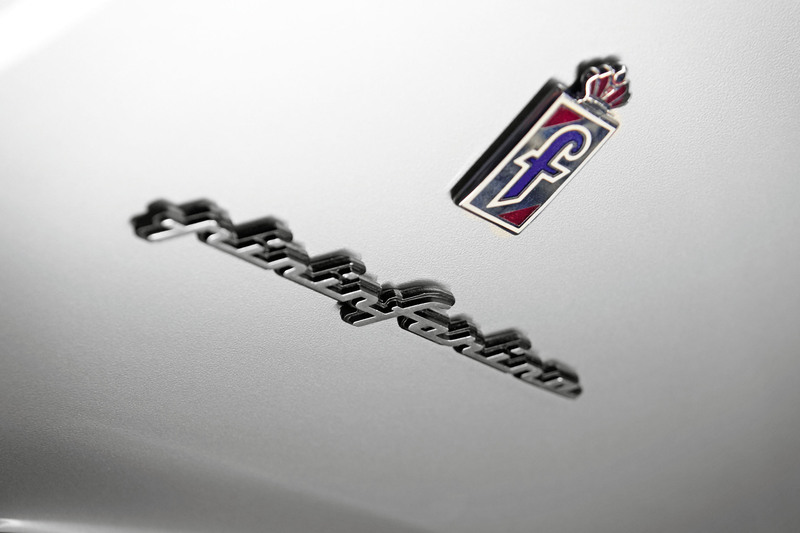 Automobili Pininfarina will be a pure electric brand. Its first model, the £1.7m hypercar, will be built in very small numbers, perhaps as few as 90. Reports suggest a series of less-expensive SUV-type vehicles will follow soon after. The cars will be designed and built in Cambiano, Pininfarina’shometown near Turin in the north of Italy. 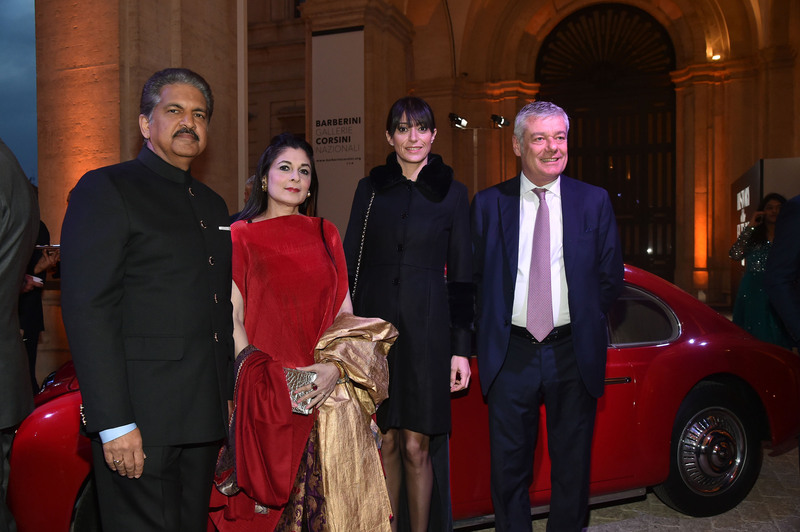 “We are not going to stop with the hypercar,” says Anand Mahindra, chairman of Mahindra Group. 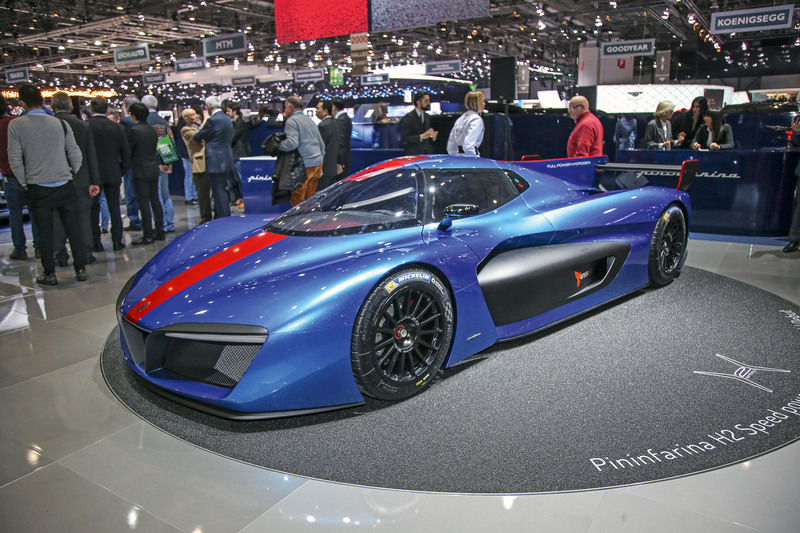 It was two-and-a-half years ago that Mahindra Group bought a controlling stake in Pininfarina. Automobili Pininfarina will be spearheaded by CEO Michael Perschke, the sharp-witted former head of Audi India. He says the company will harness the vast engineering expertise that already exists at Pininfarina, as well as a Mahindra Group and its Formula E racing team, to develop the brand’s range of zero emissions, high-performance machines. Synergy, as the car industry likes to call it. The PR message is a squeaky- clean one but, in fact, a very large part of the engineering know-how will actually come from elsewhere. The very structure of Automobili Pininfarina dictates as much. “We will not be an asset-heavy company that wants to do everything itself,” Perschke says. “We will be an integrator. We will go out, meet technology partners and bring it all together. If you want to buy a carbonfibre monocoque, for example, there are companies out there that can build it for you. Distil the Automobili Pininfarina business model down to its essence and you realise the company won’t function like a conventional car maker by any means. Instead, it’ll buy in technologies and hardware from elsewhere – to a much greater degree than is typical for the industry – then cloak the hard points in Pininfarina-penned bodywork. The exterior styling, cabin, infotainment interface and, perhaps more significantly, integration and optimisation of the various shipped-in chassis and powertrain technologies will all be Automobili Pininfarina’s own. The best example of the company’s unusual approach can be found in the forthcoming hypercar’s underpinnings. Based around a carbonfibre tub, it’ll use one electric motor for each wheel. The two-seater will adopt the classic form of a mid-engined supercar, and have more than 1800bhp, a sub-2sec 0-62mph time and a top speed in excess of 250mph. The driving range from a full battery is quoted as 310 miles. Crucially, the chassis and drivetrain hardware will simply be bought in from a supplier or, as Automobili Pininfarina would have it put, a technology partner. If the technology is already out there, Perschke says, why develop it from scratch yourself? Incidentally, there was a rumour doing the rounds in the build-up to the launch party that the hypercar’s chassis and powertrain were being supplied by Croatian start-up Rimac. Perschke and his colleagues declined to comment, preferring to keep the identity of that particular technology partner quiet for the time being. When the tall figure of Mate Rimac strolled through the grounds of the palazzo and greeted Mahindra himself with a warm handshake, though, the game was up. Customers, for the most part, will not care where the hardware comes from. What they will care about is the stunning performance, the autonomous driving capability – the car will manage level three autonomy, meaning it can assume control when certain conditions are met – and the breathtaking styling; just about everybody who saw the renderings that evening thought the hypercar looked sensational. The rest of the world will see the car as a scale model at the Pebble Beach Concours d’Elegance in August before it makes its full debut at Geneva next March. 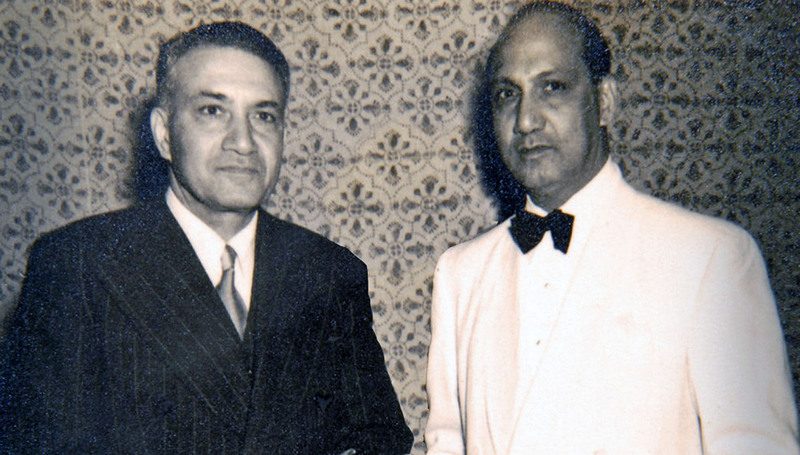 Mahindra Group, as it’s known today, was founded in 1945 in Mumbai, India, by brothers JC and KC Mahindra. The company was initially involved in the steel industry, but it quickly moved into the automotive sector when it won the licence to manufacture the Willys Jeep for the Indian market in 1947. Today the company operates across 20 industries, including automotive, defence, IT, financial services and hospitality. It generates $19bn in revenue. Mahindra & Mahindra, meanwhile, is the group’s car divisionand one of the biggest vehicle manufacturers in India. The company is also engaged in the design and manufacture of low- cost electric vehicles under its Mahindra Electric banner, while the motorsport division, Mahindra Racing, competes in Formula E.
The Mahindra Group chairman is 62-year-old Anand Mahindra, grandson of KC Mahindra. He joined the group in 1981 having studied for an MBA at Harvard Business School in Boston. 1947 CISITALIA 202 - One of just eight cars chosen for the 1951 New York Museum of Modern Art automotive design exhibit. Considered to be one of the most innovative designs of the 1940s. 1966 ALFA ROMEO SPIDER - Pininfarina hasn’t only styled expensive supercars during its 88 years; it has designed countless affordable and everyday cars too. The Spider was penned by Pininfarina founder Battista Farina. 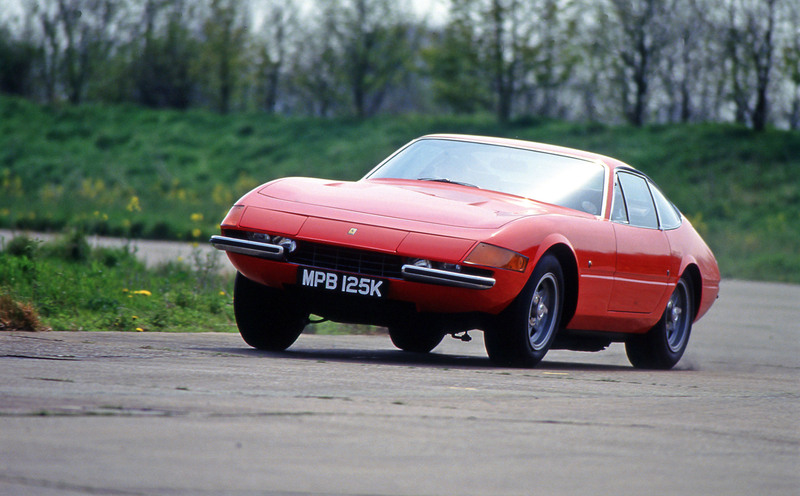 1968 FERRARI 365 GTB/4 DAYTONA - The replacement for the 275 GTB/4, the Daytona was designed by Pininfarina’s Leonardo Fioravanti. It used the famous Colombo V12 that served in multiple Ferraris for more than 40 years. 1987 FERRARI F40 - Arguably the world’s first hypercar, the Ferrari F40 was built to celebrate Ferrari’s 40th anniversary. The bodywork, styled by Pininfarina, was made from lightweight Kevlar, carbonfibre and aluminium. 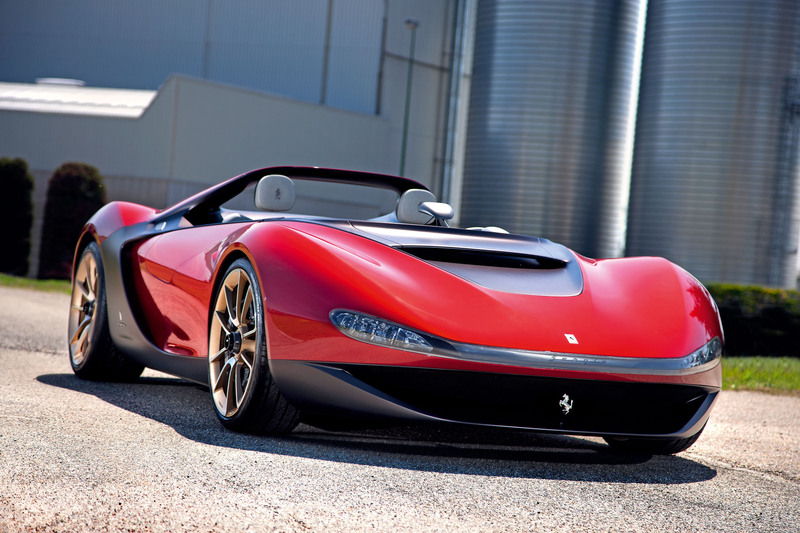 2014 FERRARI SERGIO - Based on Ferrari 458 running gear, the Sergio was limited to six units worldwide. It was inspired by the roofless Pininfarina Sergio concept car that was shown in 2013. "There will never be a Tesla Model 3 equivalent"
Can someone help me out here, because I'm an engineer, not too much up on the economics (enough to run a small business, though)? This 'We won't become mainstream' attitude is what's adopted by JLR - they don't want to be VW. bUt I don't undertsand this, you always want to be bigger when you're running a business (unless you're happy be self-employed). Surely the truly big money is in mass-volume cars, isn't it? Restricting yourself to just a few hundred or thousand sales a year is only going to make you so much cash. This is why JLR should make a Mokka (in my view), or even a Jimny. Imagine how much money JLR could make with a small (sensibly-priced) little 4x4. Actually, as a luxury car maker, Ferrari actually made greater profits while selling fewer cars. Former CEO LDM chased options and personalisation instead of volume and it paid off. In fact if you don't specify more than 15k of options in UK you practically will not obtain any new Ferrari. Your comment is idiotic to say the least. Did you see the blue one in the top gear special at the south of France? Absolutely stunning. What about the stunning Fiat 130 coupe? !